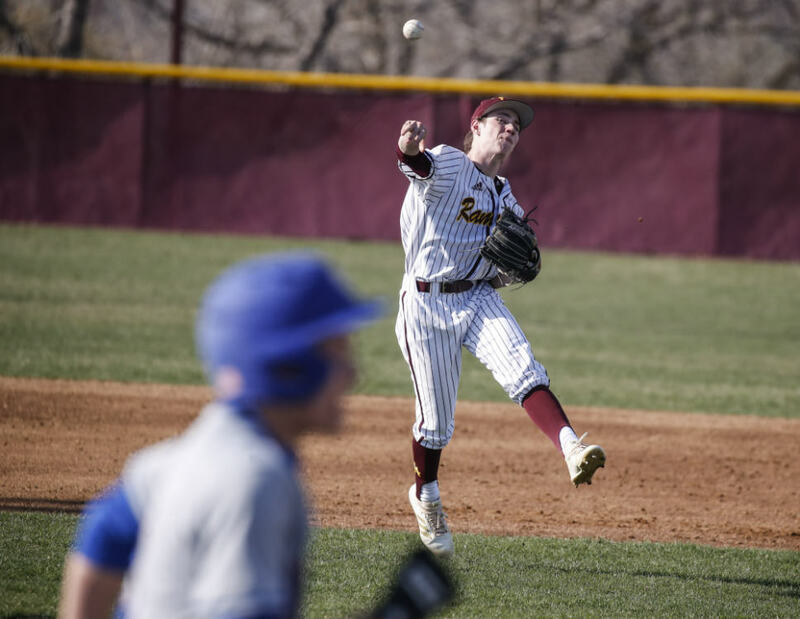 Things were going so well — from an offensive standpoint — in the fourth inning for the Loyola Academy baseball team that Ben Wagner did something out of the ordinary. He temporally left the dugout. The LA starter grabbed backup catcher Colin Summerhill, and the two of them had an impromptu bullpen session. “It was a long inning, and I felt like my arm was tightening up a little,” said Wagner. “I threw 8 to 10 pitches down there just to stay loose. “Never done that before,” the junior right-hander added. Not only did Wagner benefit from his teammates’ six-run outburst in that telling fourth inning, but he also “stayed loose” and wound up going the distance in LA’s 9-3 victory over Evanston in the Class 4A Loyola Academy Sectional final on June 2. It was a typical pitch-to-contact outing by the 5-foot-11, 160-pound Wagner, who scattered nine hits over seven innings with three strikeouts and zero walks. His command was there from the get-go. In the first inning, Wagner, who doesn’t throw hard, needed just two pitches to retire the first two Evanston hitters. “Those one-pitch outs are pretty nice,” said Wagner. “Getting quick outs and not giving up free passes is what I focus on. “I had a good feel for my slider today,” he added. Wagner retired the side in order in innings No. 2 and No. 6. Wagner, who allowed only one earned run, had a little help along the way. He worked out of a jam in the bottom of the fifth inning thanks to a flashy play by LA junior shortstop Jack Moran. With runners on first and third, Evanston’s Chris Wolfe hit a hot-shot grounder to the right of Moran, who charged the ball hard and whipped a strike to first baseman Daniel Hrvojevic. Hang a star on it. “A phenomenal play by Jack,” said Bridich. “No one watching understands how tough of the play that was. It was a bang-bang play at first. Moran, meanwhile, downplayed the play. “It was a tough ball, but I just went and got it,” he said. “I just made a play. “But it was good for team morale,” Moran added. Moran, who plays the position with plenty of flair, also made a couple of nice plays in the seventh inning. “He’s just been unbelievable,” said Wagner. The same can be said for LA’s batting order. 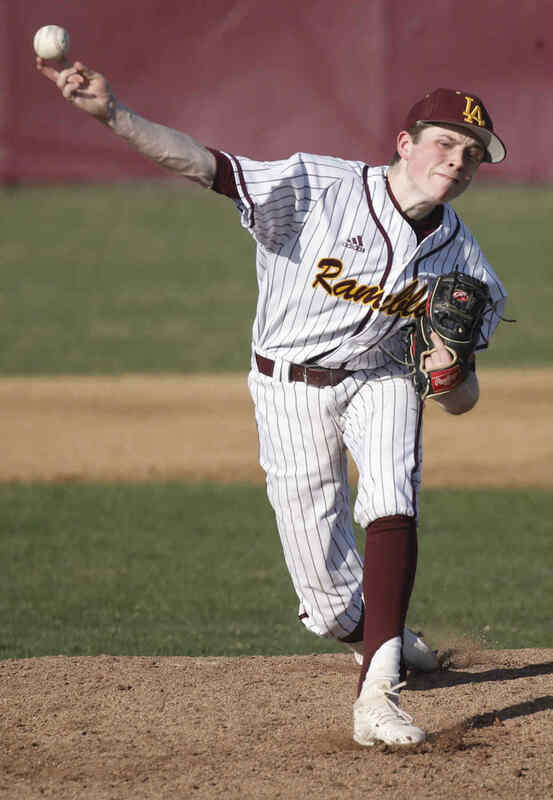 Against three different Evanston hurlers, the Ramblers had five guys with two hits: Moran, Hrvojevic, Henry Haracz, Jake Novak and Jason Vrbancic. All nine starters reached base at least once. The big hits in LA’s six-run fourth inning included a run-scoring double by Hrvojevic, a run-scoring single by Moran and a two-run single by Novak. Trey Torain added a bases-loaded double, while Matthew Raymond brought in a run with a sacrifice fly. The Ramblers added three more runs in the sixth inning on RBI singles by Jason Vrbancic and Hrvojevic. This was LA’s first sectional title since the 2008 season. The team will face Huntley in the Schaumburg Supersectional at Boomers Stadium on June 4 at 5 p.m.
Huntley defeated Barrington 7-1 in the McHenry Sectional on June 2.